Finally, Mubarak is out. But the U.S. is still very much in, for now. 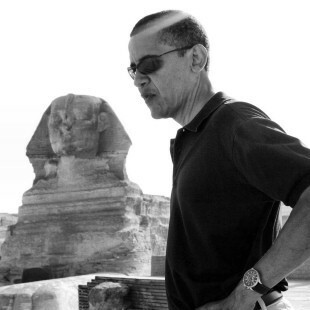 Are we seeing, in Egypt, a novel American mode of intervention? Are we seeing evidence of what we might call the (Hillary) Clinton Doctrine? The U.S. government is certainly not speaking as if it has suffered a major loss. If anything, it sounds like it has plans for the future of the Egypt. Numerous observers, even in the American mainstream media, have painted a picture of a “shifting,” ambiguous, ambivalent, often contradictory set of U.S. government narratives about the Egyptian revolution, since just days after the 25 January protests began. Their observations are not flawed. But one caution is very necessary: when we encounter people that we know are smart and astute, the best way to underestimate them and miscalculate their moves is to assume that they have become suddenly dumb when offering seemingly contradictory statements. The objective ought to be to search for the deeper logic that unifies seemingly opposed parts of the narrative into a working whole. In doing so, we will find what is evidence of what I think we can call the Clinton Doctrine, and evidence of its momentary success in Egypt. The (Hillary) Clinton Doctrine thus far does not exist officially, written up as a widely acknowledged policy. It should be, because as mentioned before it is a relatively novel approach, one that is much more insidious and yet appropriate to a weakened and recessionary empire. Simply put, the Clinton Doctrine involves hedging U.S. bets by keeping a foot in almost all camps, by maintaining contact with diverse sectors in a society critical to U.S. national security interests, emphasizing “stability” when regime survival seems possible, and then emphasizing “orderly transition” when change seems probable. It is a mixture of realism and opportunism and a desire to intervene without being seen to intervene, a low cost foreign policy that builds on established bases of military aid and support for civil society groups. By maintaining open and positive channels of communication (with Mubarak, the military, the April 6 Movement, El Baradei, and even the Muslim Brotherhood [long a working ally of the U.S.]) the U.S. made sure that no matter what resulted, it would remain in the picture as a continued player of importance. Viewed in this light, there is nothing contradictory about U.S. statements on Egypt. If Mubarak made some nationalist sounds in his final days, against those who had provided tens of billions of dollars in support for his regime over the decades, it is because he observed the U.S. playing different camps, especially knowing for how many years the U.S. had maintained open channels to human rights activists in Egypt and had repeatedly complained to Mubarak about the excessive brutality of his security services and his far-too-tight control over the political process. For a recessionary empire, Mubarak’s regime was a high-cost alternative that increasingly made violent opposition less of an option and more of a certainty–and the U.S. cannot stand what one activist today proclaimed (with great hope) was an Egypt where “all horizons are open.” No, there has to be more predictability than that, where the U.S. is concerned. So the U.S. shifted its weight to its alternatives: pro-West human rights activists, and more powerful than Mubarak, the huge military infrastructure that the U.S. helped to build. Here is “orderly transition” with “friendship” to the Egyptian people. That the U.S. has had positive contact with diverse camps is established in various sources. On the one hand, there is the work of the Alliance of Youth Movements, originating from the U.S. State Department and the work of Jared Cohen and aided by major Web firms such as Google, for whom Cohen now works while maintaining a leading position in AYM. This opened direct communication between one April 6 Movement activist and U.S. diplomats. Ahmed Salah, co-founder of the April 6 Movement is also a senior fellow at AYM, which maintains an active profile of engagement with Egypt. Wael Ghonim, a Google executive who was captured by state security and turned into a virtual hero by U.S. media as the founder of the Facebook page that allegedly led to the January 25 protests, openly corresponds with the State Deptartment’s Alec J. Ross, with his release getting special mention by State Department spokesman P.J. Crowley, praised by Jared Cohen as the source to follow in Egyptian events. Before Mubarak had formally stepped down, Ghonim was posting in Twitter, repeatedly, “Mission Accomplished” and hailed the success of something he calls “Revolution 2.0.” Here Ghonim asks the protesters to now demobilize, as if the revolution was to stop merely at the removal of one man. Here he praises the army, clearly entrusting them to now take the lead. Ghonim instantly won the severe repudiation of those who have fought long and hard in Egypt for transformation. Egyptian pro-democracy activists have certainly scored a major victory. Removal of Mubarak seemed almost impossible before, especially not by peaceful means. One fears that the revolution may now become fragmented, divided, manipulated, with the Ghonims touted by Washington as “heroes” and “moderates,” and others pressing for much needed greater changes likely to be set apart as “extremists.” For now, the Clinton Doctrine ensures that the U.S. is not yet down and out of Egypt. Thanks Max for this, great work. BTW, reading this, I remember a video of an unbearably hypocritical speech of creepy H Clinton about the AYM you posted some time ago. I think the notion of a Clinton doctrine definitely makes sense. Would “scab” be a strong enough word for people like this Ghonim ? Thanks Jeremy. Ghonim has quite a following in the Western media, and among American Twitter users. When I sent him a message saying “You really played a lot of people for suckers. Well done” I got a glimpse of the support he has attracted. He says he is not a hero, in the way that someone who thinks he is a hero would say it, and is still treated as the virtual icon of the revolution by the likes of Wolf Blitzer at CNN. Needless to say, all of this serves to arouse my suspicions even more. “I seem to convey that i want Obama to do something; while knowing that he is in a situation that is much more constrained than USans can imagine. So, what do I think he might do? If President O could just take the to the “airwaves” and tell the people that he is forced by the power behind the elected government to do these things that contradict his promises; and tell the people that they should protest in Tienaman Square, or in Tahrir Square, Times Square, Capitol Mall, Pioneer Square or some square, just tell the people, “this is what is happening behind the scences; these are the choices i am given by the military and the rich and the financial khans”; Just stand up and tell the truth; just explain to us the details behind the scenes. I think Obama did his best in this conflict. If the US had intervened in a more visible way the relationship with Egypt could have deteriorated. And since we don’t have many friends in the region this would be a very dangerous step for the country. yes, exactly this, Adrienne Pine’s message and similar naked truths need to be on the prime time TV that is the main source of information for the great majority of USans. I do think that most USans MUST be, by now, trying to see what is behind the obvious smoke screen that is the mainstream news with the government’s talking heads being the main actors Why do I only, finally see her here, courtesy of Max?